Bradford helped Whitko accomplish one of its finest seasons in over 40 years of Wildcat baseball. 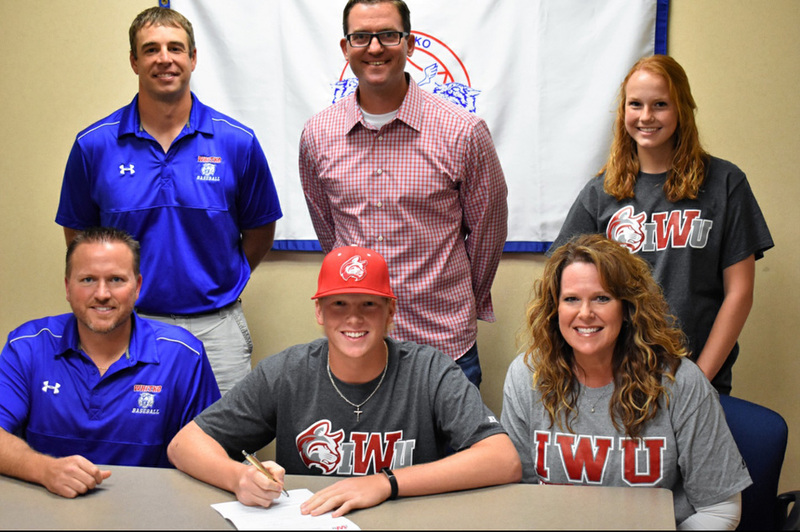 The righty went 9-1 on the year – his only loss in the regional against Wapahani – and accrued eye-popping numbers of 103 strikeouts in 75 innings and a 1.02 earned run average. Whitko won its first-ever sectional title during its 21-10 campaign. On offense, he led the team with a .417 batting average, 43 hits, 34 RBI, 20 stolen bases and nine doubles. He added a .512 on-base percentage and 36 runs scored, which helped him earn All-Three Rivers Conference First Team honors for the third straight year. Bradford was later selected as the IHSBCA District 1 Player of the Year and then an IHSBCA North-South All-Star. Indiana Wesleyan is an NAIA school in the Crossroads League. In 2017, the Wildcats went 27-30 overall and 12-15 in conference.